The British Library of Political and Economic Science, the Library of the London School of Economics and Political Science, is one of the largest library for social sciences. It collects material on a worldwide basis, in all major European languages. The electronic resources provide updated articles and statistics, over 13,000 e-journals and catalogues which can be freely consulted also by general users. 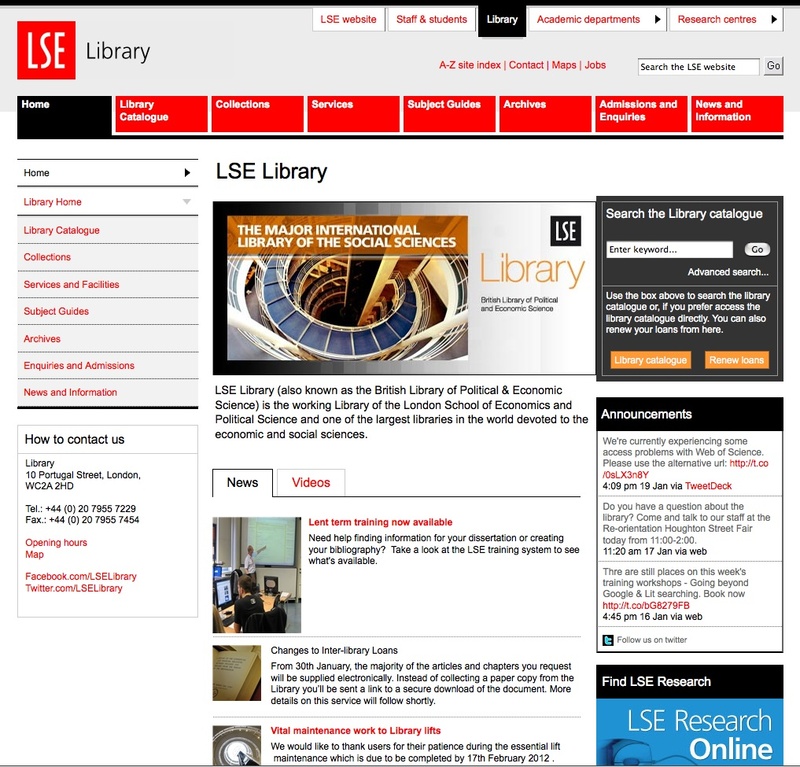 Two sections (EIectronic Library and LSE Research Online) are open access for non-members, where full-text articles can be freely retrieved in pdf format or a database of link lists to external websites and various e-resources can be searched. For accessing the other services an London School of Economics ID is required or an access pass must be obtained via email by the library service. Infos are organized in thematic archives and records can be saved and downloaded in personalized and customizable areas. The website is easy to navigate and to understand, thanks to a simple and effective interface design, multiple keys criteria and navigational aids which help users to find their way and to retrieve the desired data. A tutorial is available only to institution-affiliated users, with a public A-Z site index and a help section.